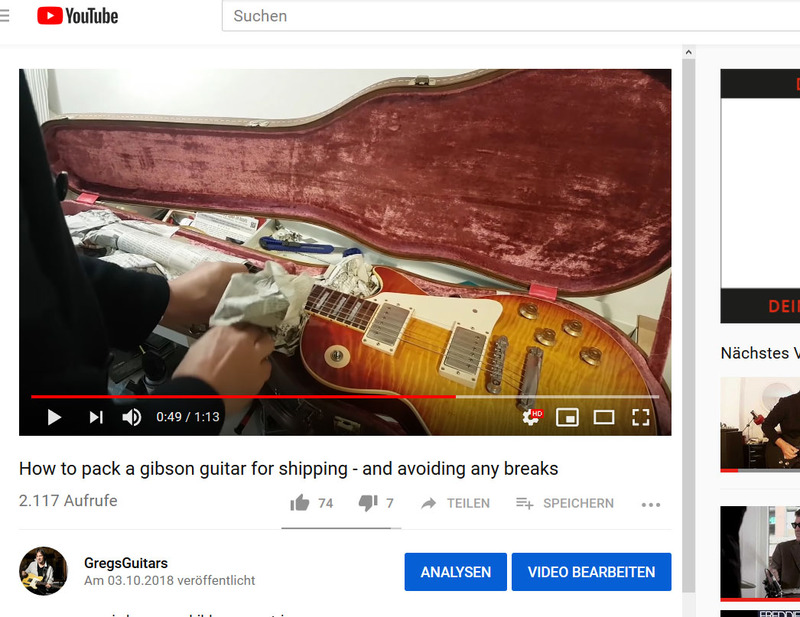 Please watch the video if you are going to send me a Gibson-style guitar! Additionally: Stuff the cardboard packacking sufficiently around the guitar case, so the instrument won't bounce around inside the parcel. Please leave any kind of documents and paperworks INSIDE the guitar case, NOT the parcel, or use one of those adhesive, transparent plastic envelopes on the outside of the cardboard box. If you are are going to send via DHL, please note that the cardboard box must not exceed 120x60cm! Always send as INSURED parcel!